We have been thoroughly enjoying this beautiful weather, spending most of our time playing and working outside. We headed over to visit my father in law a few days ago. I picked giant bowlfuls of his delicious strawberries and once we were finished stuffing ourselves with them, I turned them into canned jam and syrup. I will be sharing more about that soon. 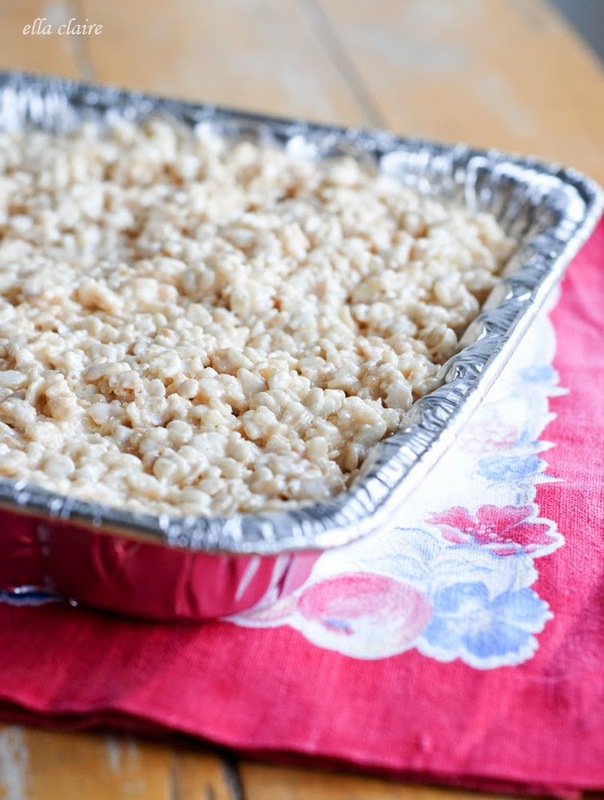 Before we left for our visit, I made up a batch of crispy rice treats to take along with us. I am a little bit of a crispy rice treat snob. I like them to be perfectly soft and delicious! It occurred to me that I had a certain way of making them, and specific tricks I use to make them soft and perfectly delicious, so I thought I would share my tricks! I will also share my recipe at the end in case you need a good one! First, I only use real butter. It does make a huge difference. 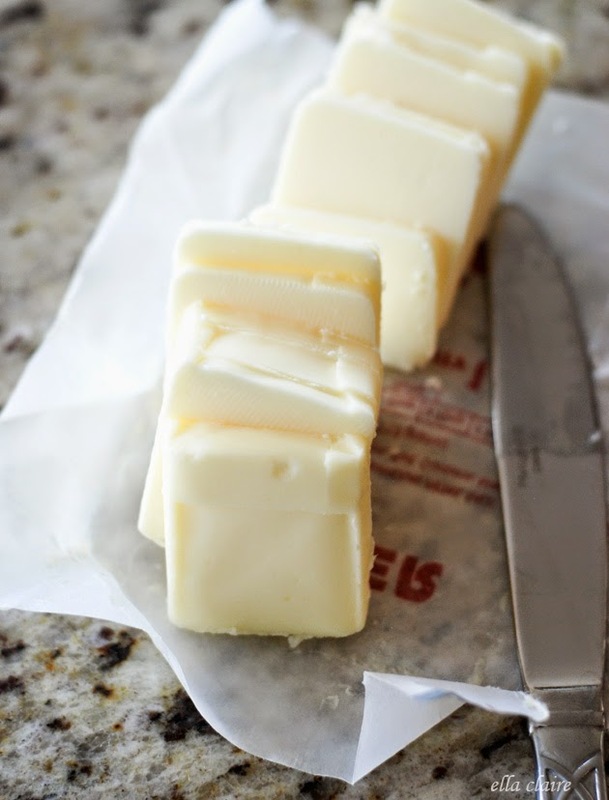 I also like to slice up my butter because it tends to melt quicker and more evenly. 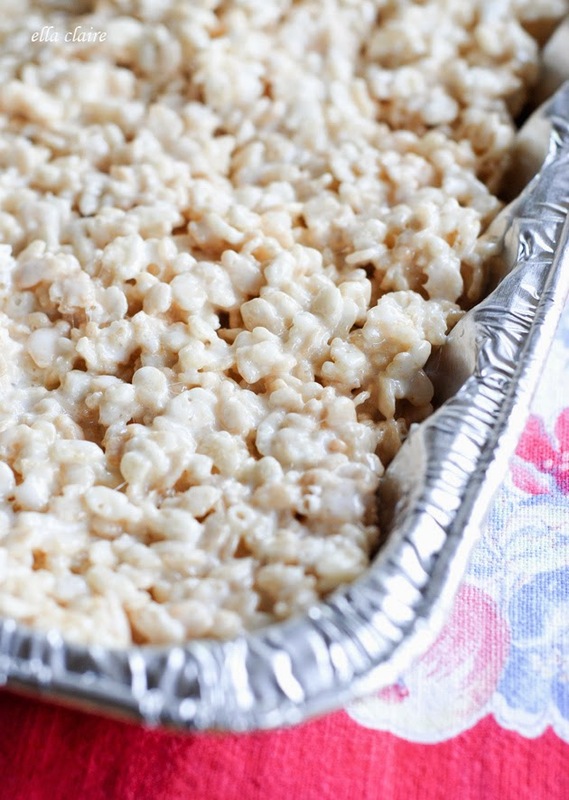 Melt your butter in a deep pot, but don’t melt it all the way before adding the marshmallows. I usually get to the stage pictured below before I add them. You can see there are still a couple little soft, unmelted spots. We want to be sure to not overcook any step. Oh, and I always use a heat resistant plastic scraper. 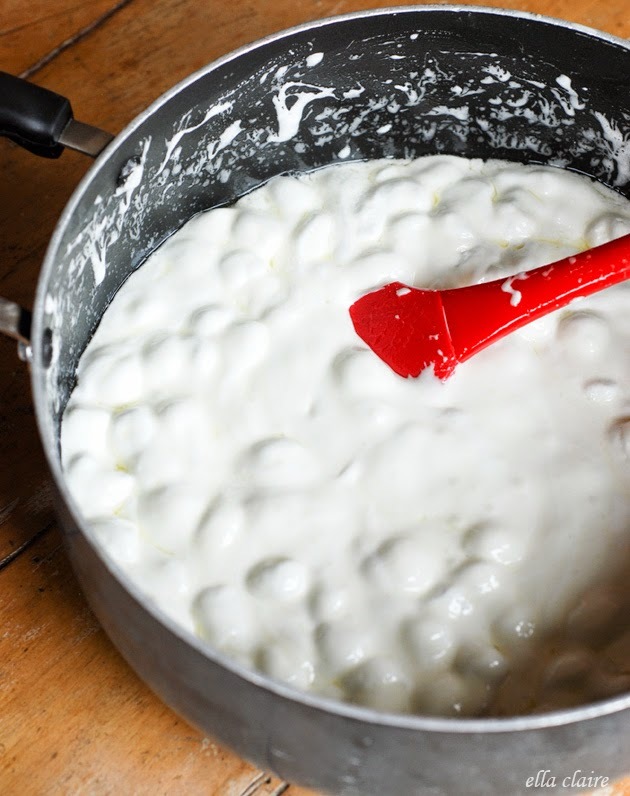 Add marshmallows and stir continuously over medium heat until they are soft, swollen, and melty, but not completely smooth. 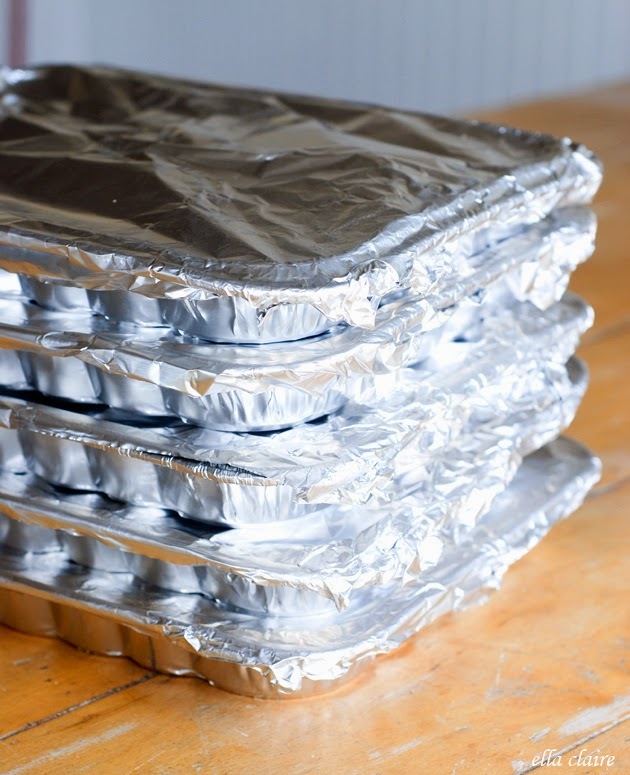 You want them to look like the picture below when you remove them from heat. Again, the key is to not overcook. Add your cereal to the marshmallow mixture, no more than a couple cups at a time. 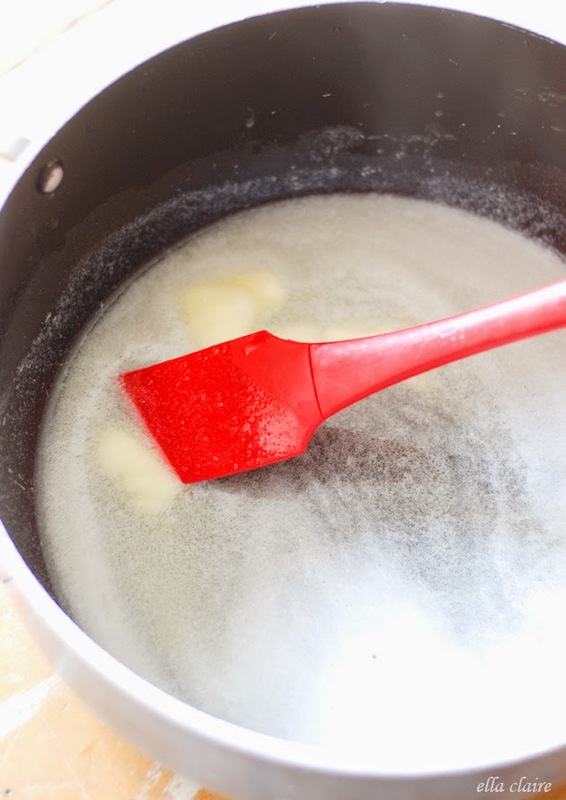 Instead of stirring to combine, use a repeated motion of folding and smoothing. When I fold. I bring the mixture from the bottom and fold it into the top, middle. then I smooth and lightly flatten the whole top down. Fold, fold, fold, smooth. We prefer our treats plain, but you can top with sprinkles, chocolate, candies, etc if you would like. Make sure you lightly grease your pan as well as anything you will be using to cover it. I also made some to take to the youth in our church for a camp they were going on, and I made sure to lightly grease the aluminum foil to keep it from sticking to the treats. This is a great tip if you plan on transporting them anywhere. Melt Butter on medium heat, stirring constantly. Add Marshmallows until mostly melted. Fold in cereal and smooth down until combined. Press into 13x9 pan. Once cooled, cut and enjoy! I think I found my problem, I must overcook my marshmallows! Never realized that made such a difference, I will have to try your recipe out. Thanks girl! 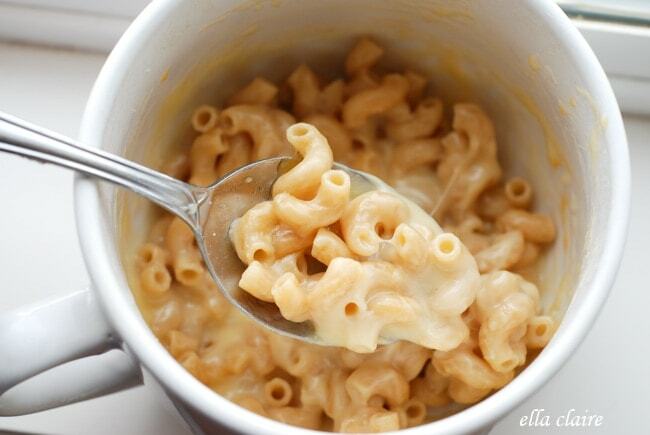 Making these right now, can’t wait! Thank you for these tips!! As much as I love these treats, I rarely make them, because they always turn out very dry and hard. Even when they’re fresh. I’ll try these tips soon! 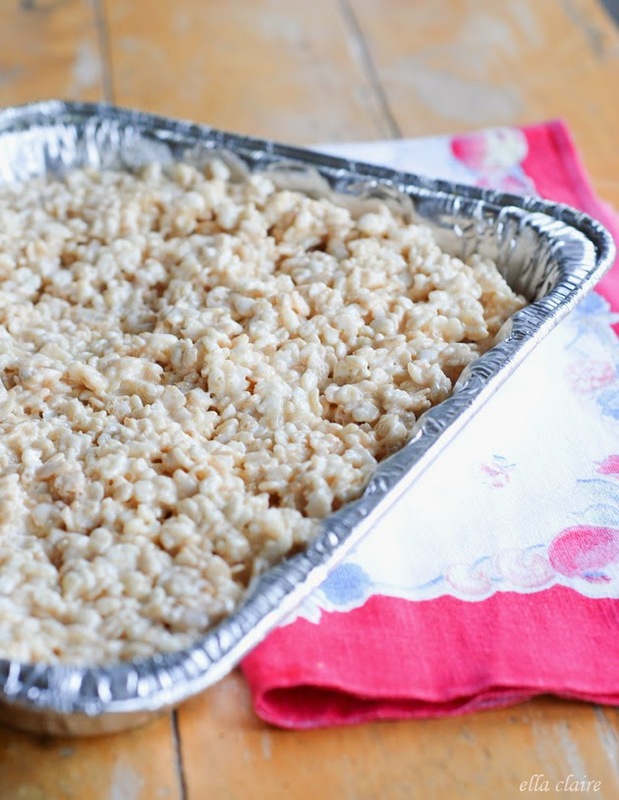 Any tips on making perfect peanut butter crispy rice treats? Add 1 tsp. vanilla to the melted marshmallow mix. Takes it to a whole new level! Super delicious!